Featured image courtesy of hin255/ FreeDigitalPhotos.net. One of the “big ideas” we teach young learners is the concept of change. Babies grow up. Children can mark their height and see how they are changing. Little seeds planted in the ground in our little paper cups grow into plants. Small pumpkins grow into big pumpkins. 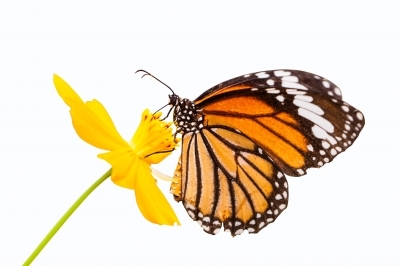 Caterpillars turn into butterflies. Halloween is filled with magical changes. 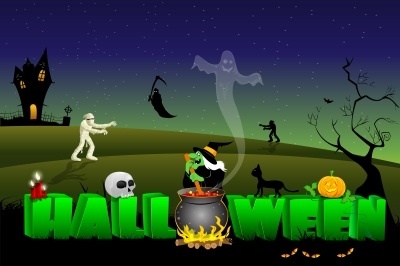 Children put on costumes, and “change into” a princess, Spiderman, a witch, a ghost, or a character from their favorite Disney movie. 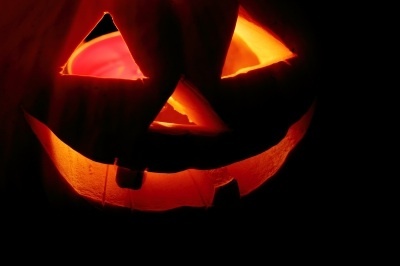 When we think of Halloween, we see the magical change of pumpkins into jack-o-lanterns. When possible, I love to purchase a pumpkin for Halloween and teach children how to carve it into a jack-o-lantern. In the classroom, it’s easy for students to use craft projects to show both a pumpkin and a jack-o-lantern. 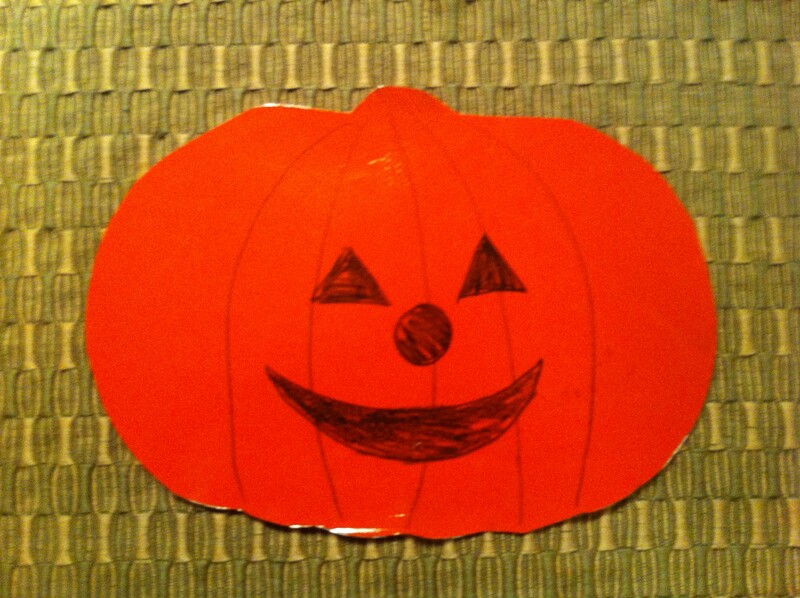 For a very simple art project, trace the outline of a pumpkin on orange construction paper. Students cut out the shape. With colored pencils or crayons, they draw the ridges of the pumpkin on one side, and a face of a jack-o-lantern on the other. For more pumpkin craft ideas, check out my Pinterest page with simple cooking and craft ideas. To add more fun, make a small pumpkin/jack-o-lantern and a big one. Students see the change from small to big, and from pumpkin to jack-o-lantern. Here’s a simple Halloween song that my students absolutely love! 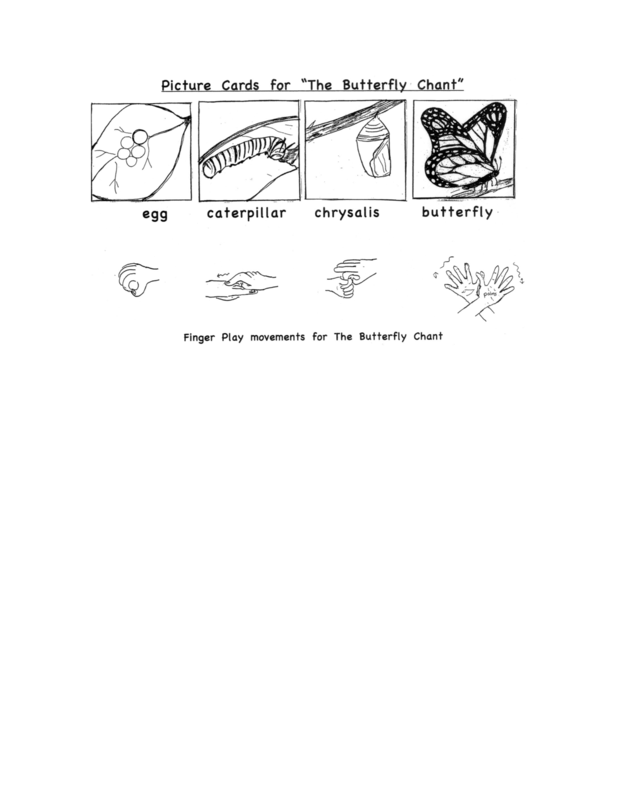 My dear friend Setsuko Toyama has made a beautiful rebus worksheet to help your students read both sight words and pictures. and grow and grow and grow and GROW! Here is a simple recording of the song to let you hear the melody and rhythm. For a professional version of this song and other Halloween songs I’ve written, click here. I’d love to see your children singing and dancing to this song. I’d love to see their cute jack-o-lanterns. Share this idea with your friends. Tell me how you’ve used this with your students. Let’s Do the Hokey Pokey Like An Easter Bunny! Here’s a new version of a familiar song, The Hokey Pokey. 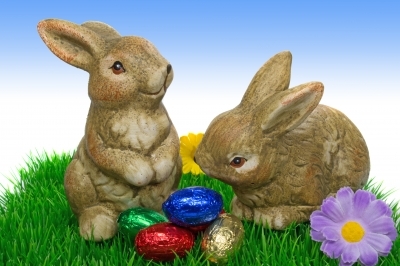 For this song, however, students pretend to be Easter Bunnies. Say to your students, Let’s make two long ears! Pantomime the movement. Ask, What else do we need? Students may offer different answers, such as two big feet, a bunny tail, bunny paws, bunny whiskers, a bunny nose. This song teaches the names of body parts as well as the directional movements in, out, around. Students have a lot of fun jumping and shaking. Students practice the lyrics and movement slowly, then the same lyrics quickly. Say, Show me your Easter Bunny ears. Let’s put them in, and then out. Pantomime this movement with students. Say, Let’s shake our Easter Bunny ears. Pantomime shaking your ears happily! Now jump up and down in place. Then, turn around and say, Happy Easter! My students love to jump really high on this part! Learn the names of each of the body parts in this song – ears, feet, tail, tummy, whole self. Now you’re ready to join in with the music. To help students practice first, sing slowly. Then sing it faster the second time. Here are a few of my students demonstrating parts of this song for you. Click here to watch. Enjoy! Slowly: You put your bunny ears in. You put your bunny ears in. And you shake them all about. Shake, shake, shake, shake, shake, shake, shake! Jump like a bunny. Jump, jump, jump! Turn around and shout! Happy Easter! Then sing quickly . . .
Repeat each verse slowly, then quickly with these body parts. 2. You put your bunny feet in. 3. You put your bunny tail in. 4. You put your bunny tummy in. 5. You put your whole self in. The studio version of this song can be found on iTunes on Kathy Kampa’s Special Days and Holidays, track #7. Click here to take you there! Check out these cute Easter Bunny masks for little ones. 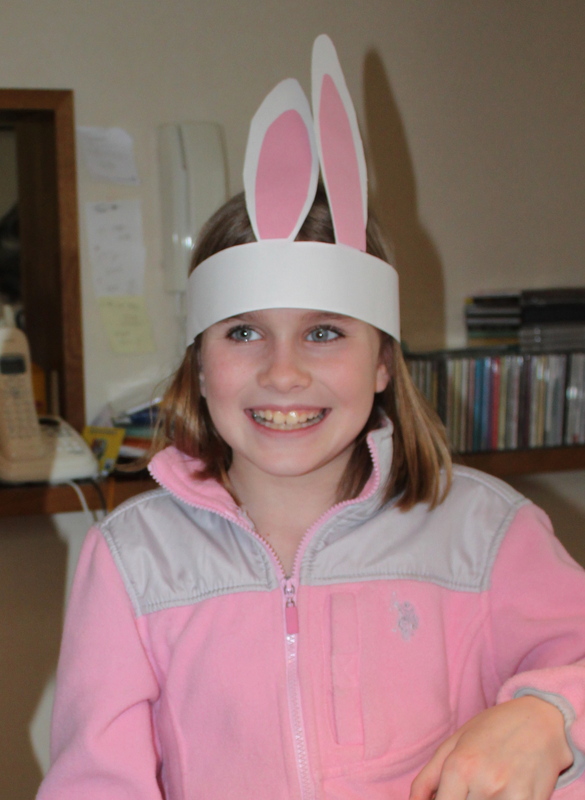 These Easter Bunny ears are a fun way to celebrate! Here’s Brooke having fun in Tokyo. Easter is just around the corner! Holidays give us an opportunity to teach students about culture. Our students will learn this song this week, and do the follow-up activity created by Setsuko Toyama. Perhaps your students would like to learn these activities too! To teach my students about Easter, I usually bring some plastic Easter eggs, a basket, and a picture of the Easter Bunny. During a recent trip to Vietnam, I bought a rabbit puppet to use for this song. If you don’t have a puppet, you can use your fingers to create a bunny. What can the Easter Bunny do? The Easter Bunny hops along. He tiptoes and hides colorful Easter eggs. Finally, he runs away. Perhaps your students will have some additional ideas of their own! When I teach young learners, I like to use many different ways to introduce, practice, and review new language. Sing this song in three different ways–first as a fingerplay, then moving around a circle, and finally, moving around the classroom. I’ve made a simple video for you to help you learn it as a fingerplay. For the fingerplay, if possible, sit on the floor with the students. Stretch your legs out in front of you. Make an Easter Bunny by raising two fingers. Bounce your fingers up and down your legs as if you’re hopping. Hop along Easter Bunny, hop along. Young children love surprises. Each time I sing one line, I quickly bring my fingers back to where I started. On the longer line, continue hopping. My students find it funny when I bring my fingers over my head and along my arm. On the second verse, pretend to tiptoe using your fingers. On the third verse, pretend to pick up an egg and hide it beside you or behind you. Hide the eggs Easter Bunny, hide the eggs. On the last verse, pretend to run away. Run away Easter Bunny, run away. Now it’s time to stand up and magically turn all of your students into Easter Bunnies. Say, Put on your ears, your whiskers, your tails, and your great big feet! Make a circle with your students. Sing this transitional song to get ready. Finally, students can move around the classroom. My students enjoy having half of the class pretend to Easter Bunnies while the others are pretend to sleep. The Easter Bunnies dance the song by moving around the children. Here’s a simple video of my students moving in a circle to this music. 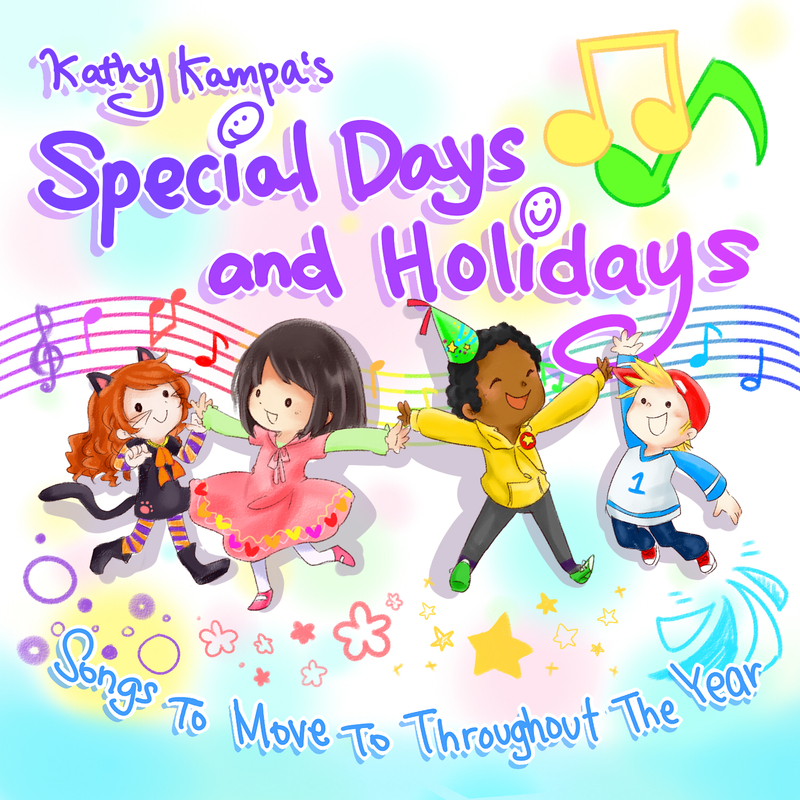 For the studio version of this song, go to iTunes and click on Track #6 of Kathy Kampa’s Special Days and Holidays. 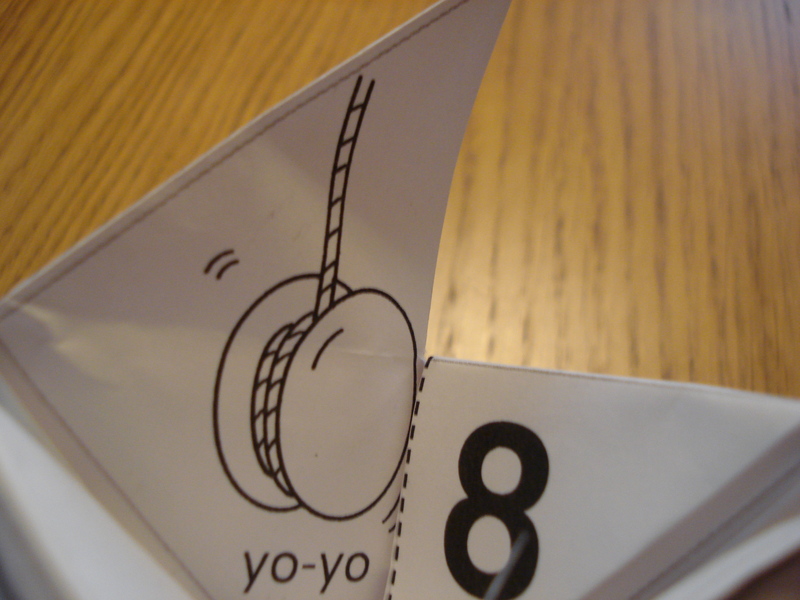 Here’s a quiet follow-up activity created by Setsuko Toyama. Students use critical thinking skills to figure out which egg has been chosen. Secretly choose one egg. Give one hint at a time, such as It’s pink. Students can guess, Is it number three? Add another hint. It has blue polka dots. Students guess again. Is it number one? After modeling this activity for the class, have students work in small groups or partners. Make a copy for each student. Having Fun with Fortune Tellers! 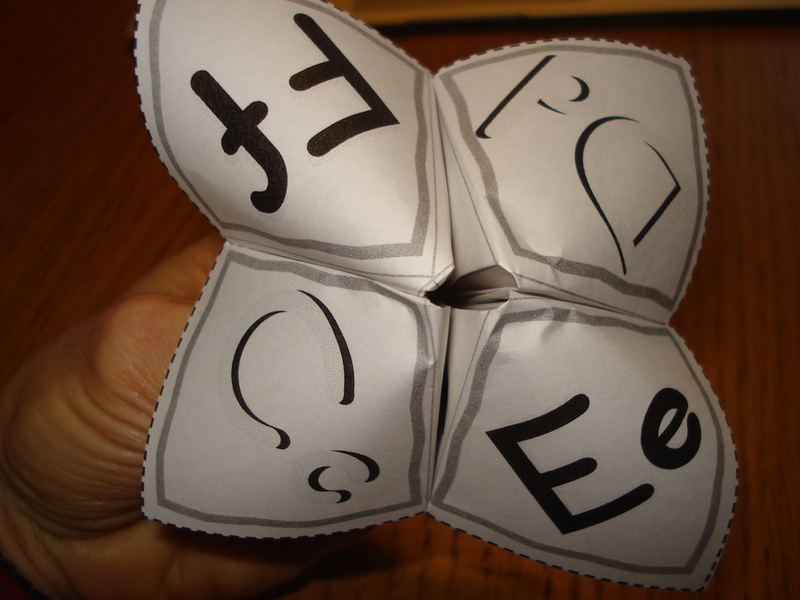 When I was a little girl, we made “Fortune Tellers” to play with our friends. We used our homemade fortune tellers to write messages about things that might happen when we grew up. Your students will love this game. It’s easy for students to put into their pockets and play wherever they go. You can practice any vocabulary or grammar by adapting the game in this way. Download a free Fortune Teller template taken from Magic Time Teacher’s Book 2. 3. Copy one sheet per student. Students cut out on the dotted lines to create a square. a. To begin, have students fold the paper in half. b. Turn paper over. Find the middle point. Fold the corners to this middle point. Crease well. c. Turn the paper over again. Fold the new corners to the middle. d. Find the numbers. 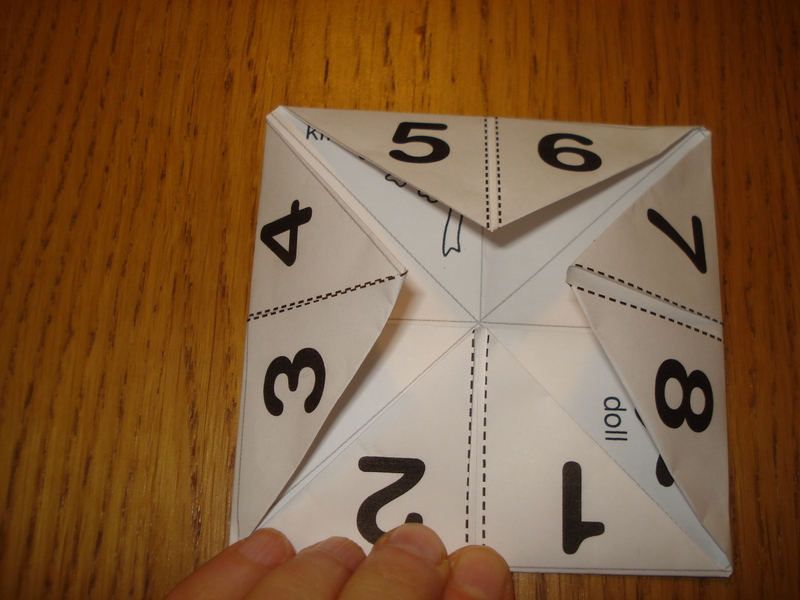 Cut up from the point up to the fold between each of the numbers (1 and 2, 3 and 4, 5 and 6, 7 and 8). 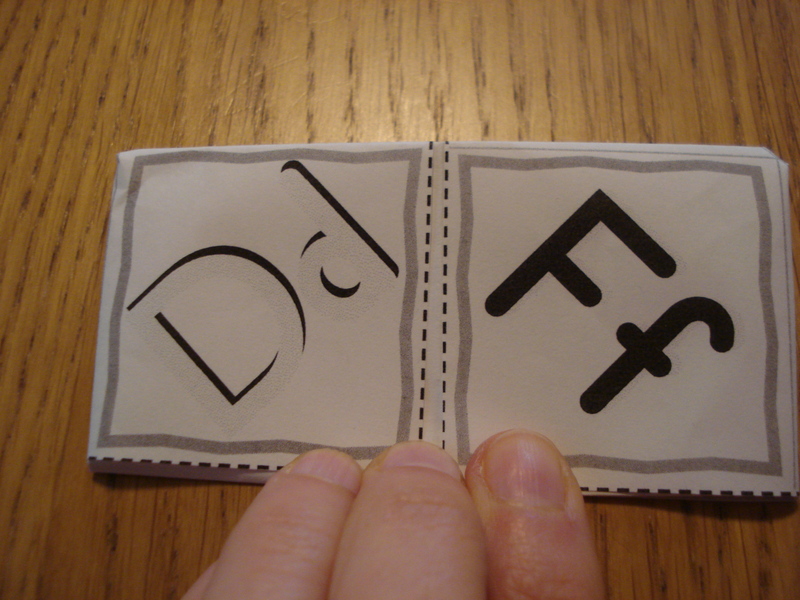 e. Now fold it in half so that you can put your thumbs and pointer fingers into the four openings at the bottom. f. Bring the points together. 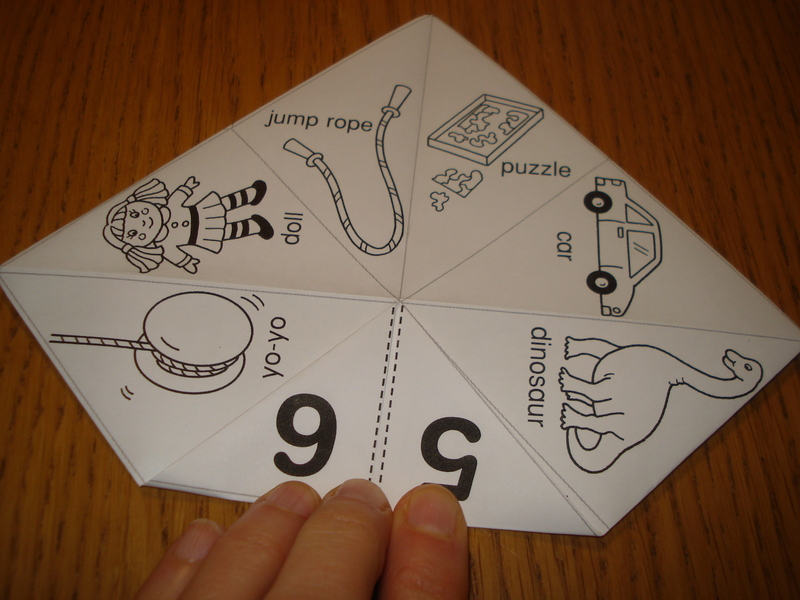 Then open and close the fortune teller. 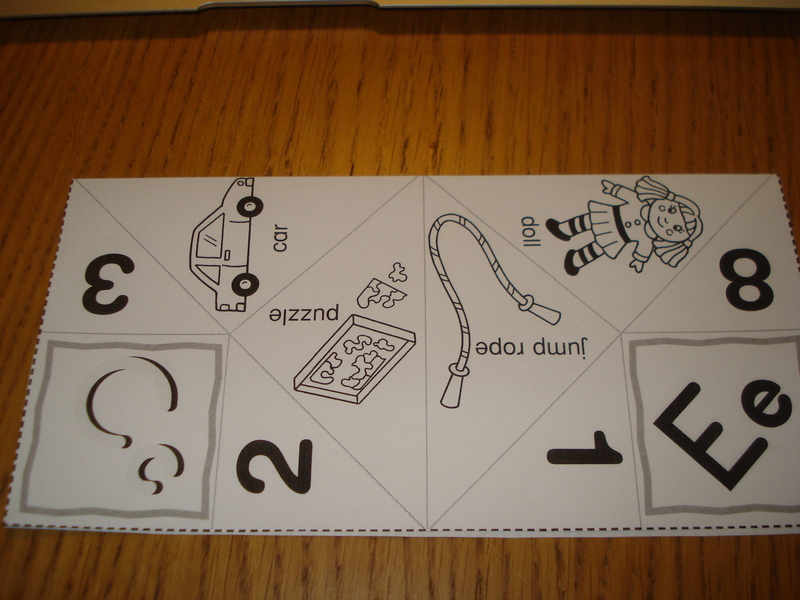 A: Moves the fortune teller four times, counting to 4. With a little creativity, you can add more language to these dialogues. 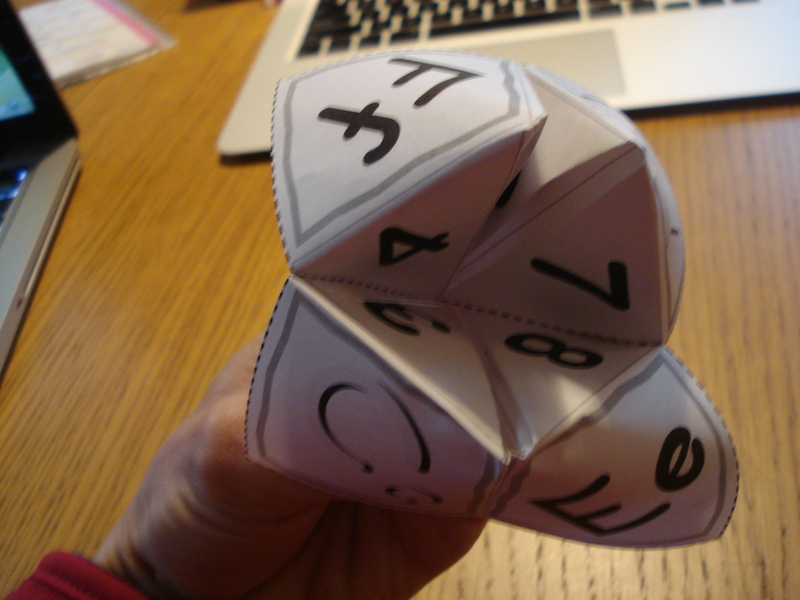 With this fortune teller, students can imagine that they’re celebrating a birthday. 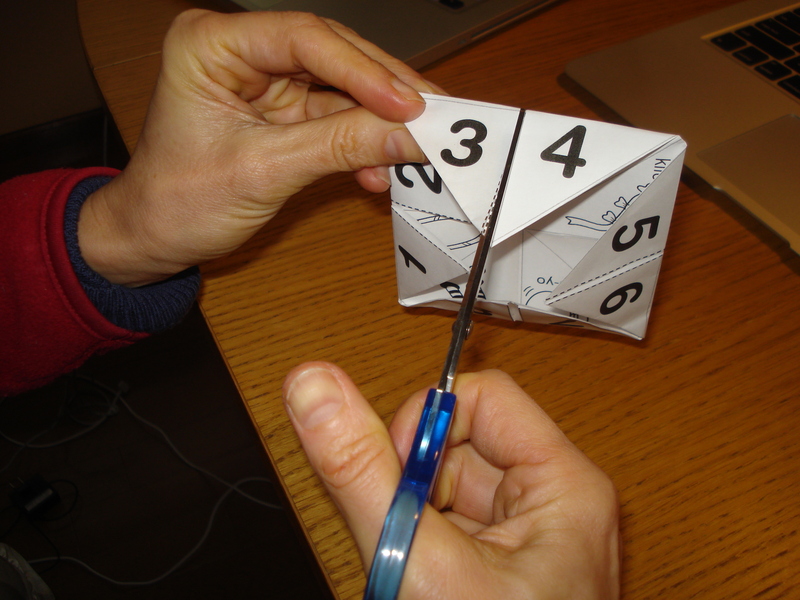 To make your own fortune teller, do your folding first. Then open it up and add numbers, pictures, words, etc. Instead of counting or saying the ABC’s, more advanced students can spell out words. Keep me posted . . . I’d love to see how your creativity builds upon this idea in your classroom.